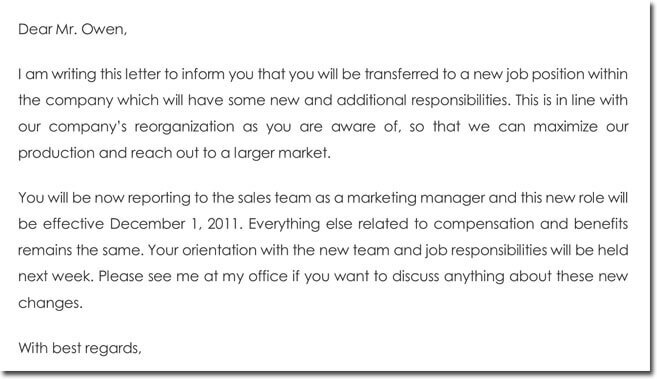 At some point in your professional career, it is likely that you will need to write a transfer letter for someone. 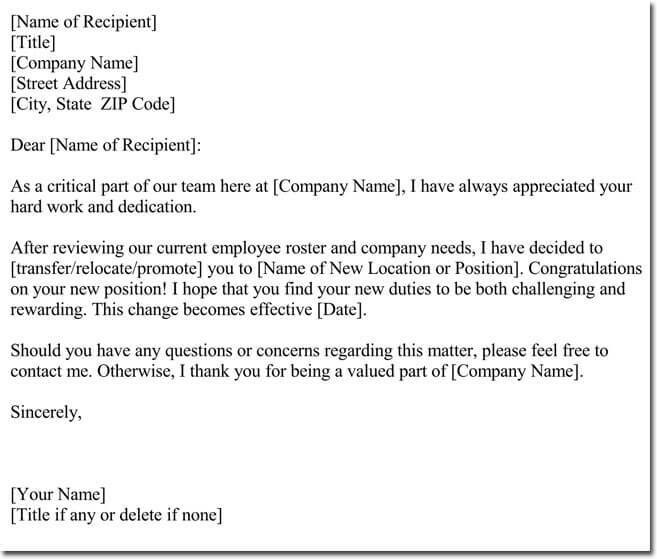 This might be for an employee who is moving to a new location or transferring to a new branch of the company. 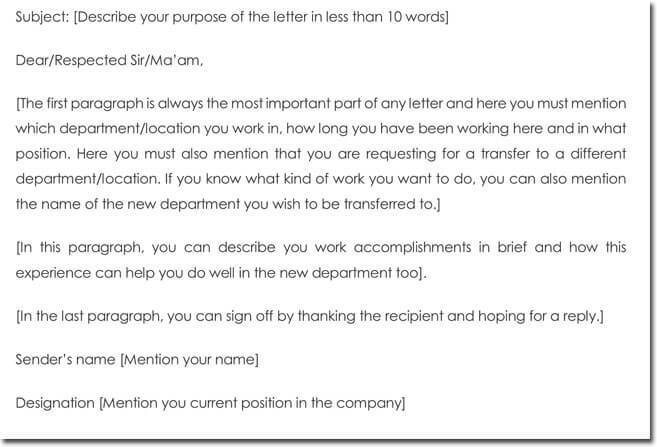 It might also be for a university student who is transferring to a new campus and needs a transfer letter template to complete their application. 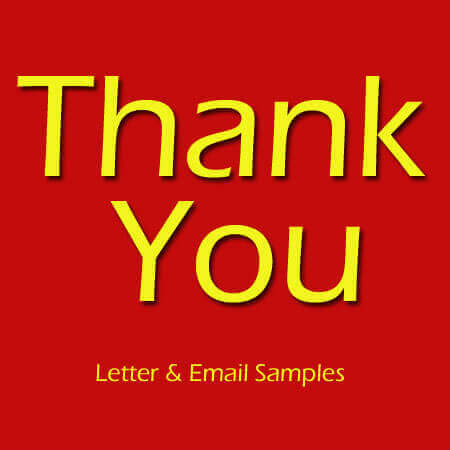 It is important to keep transfer letters accurate, thorough and professional to make this transition as smooth as it can be. 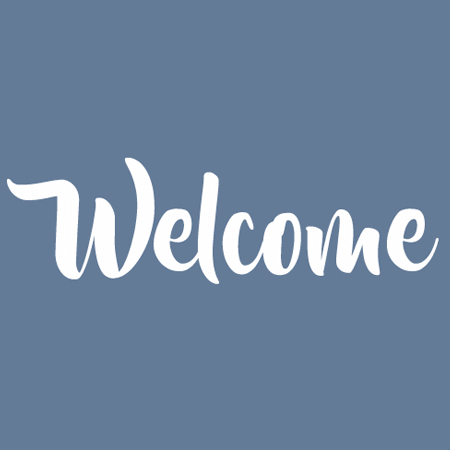 You want to make sure that the transfer letter contains the necessary information to complete the transfer and make it as seamless as possible for everyone involved. 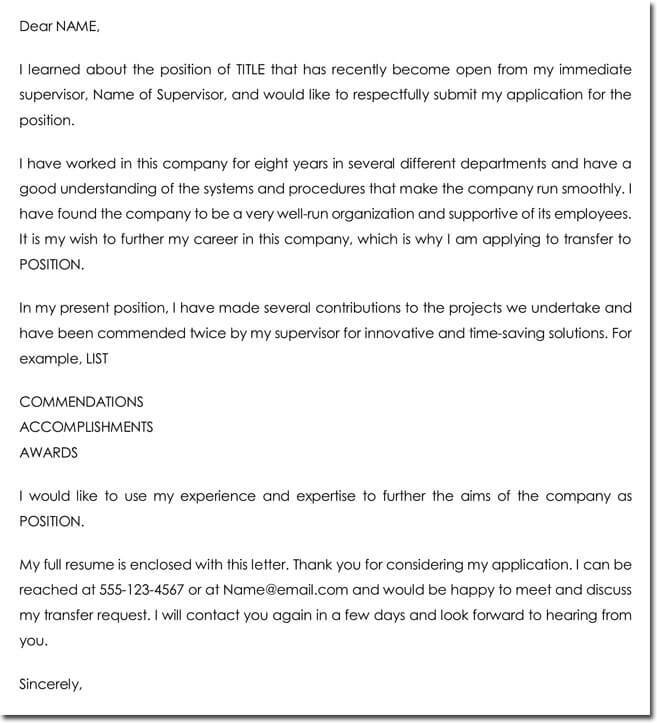 Using transfer letter templates can be a great way to make sure that your letter remains professional, to the point, and complete. 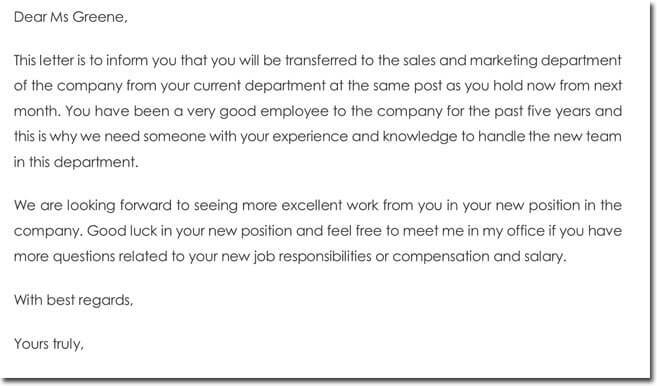 So, why should you use transfer letter templates? 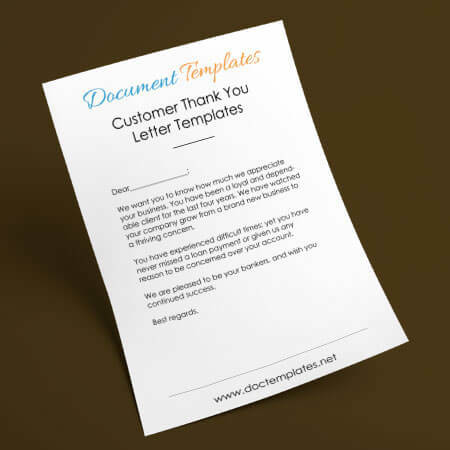 It’s faster: In a world where we are constantly being asked to do more, and do it more quickly, templates are quickly becoming a necessity in any kind of business. 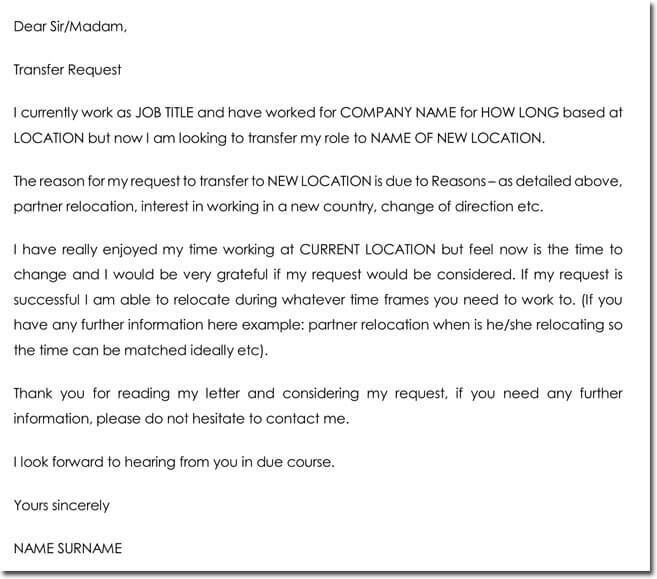 Why waste time drafting the transfer letter from scratch if you can simply pull up a transfer letter template, adjust it as necessary for the situation, and have it completed in less time? It’s an easy decision. Keep it professional: You always want to be careful when you’re putting something in writing at work because it’s permanent. In situations where transfers are required, it is not uncommon for the transfer to be emotional. 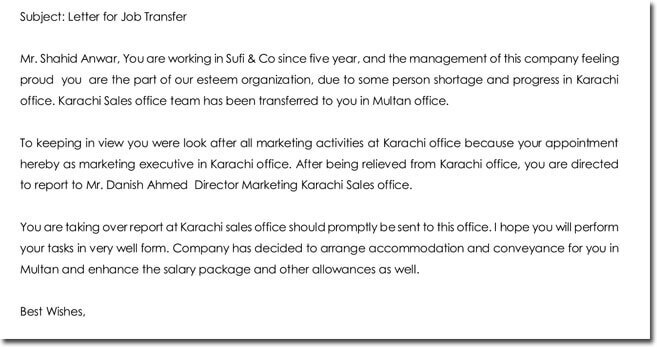 A change in work environment is not always easy, and it is possible for people to become resentful or frustrated about transfers if they do not work out. 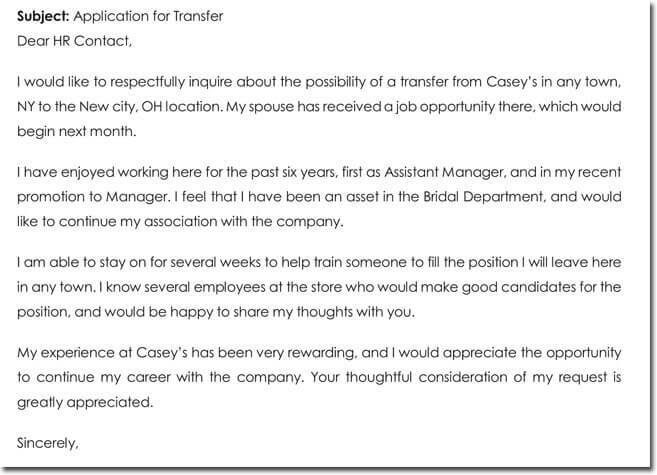 For this reason, having a transfer letter template that is completely professional and neutral in tone and language can be a good idea. 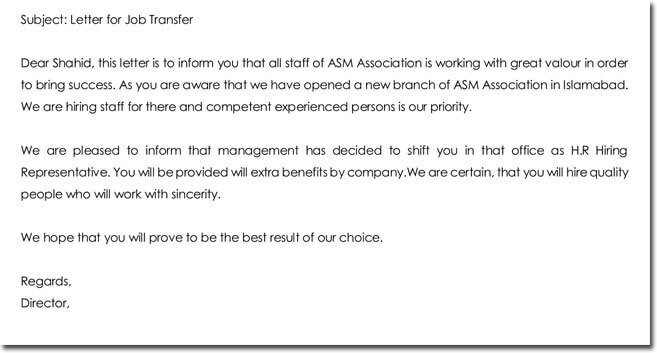 If you use a transfer letter template, you reduce the risk of someone reading their transfer letter the wrong way. 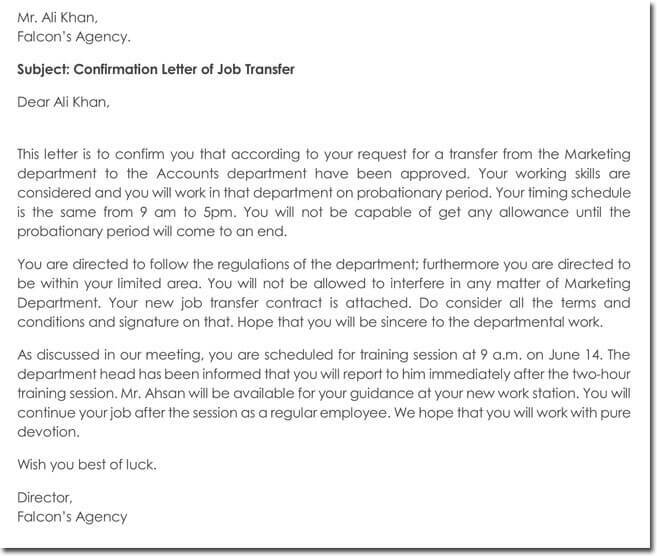 If you have multiple transfer letters that are all standardized or essentially similar, it will be more difficult for an employee to think that the decision was somehow unfair or that something in the letter was not appropriate. This can be even more important if you are denying a transfer request. 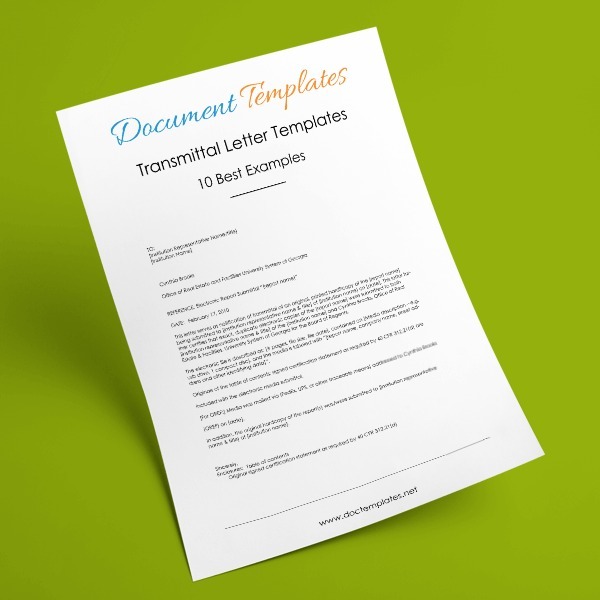 Make the transition seamless: Using transfer letter templates can help ensure that you have included all the necessary details in the transfer memo that are required for a smooth transition. 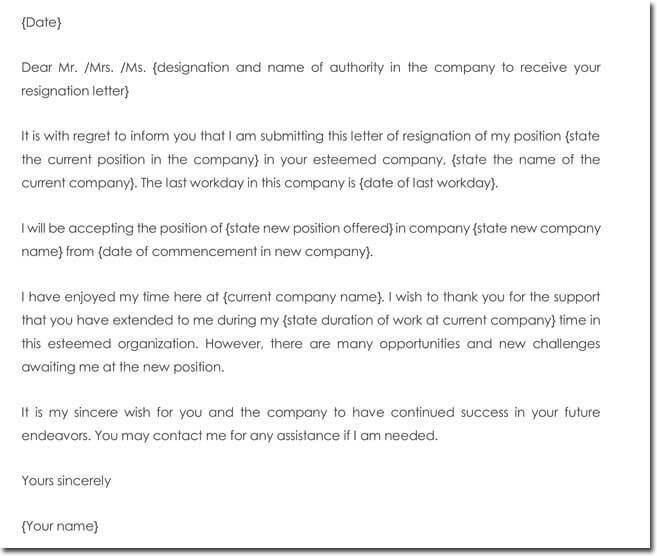 Transfer letter templates will prompt you to enter important details. This ensures that the person on the other end who must complete the transfer has all the information they need. It saves everyone time if no one has to make follow up calls to complete the transfer, which might cause unnecessary delays and lost work time. 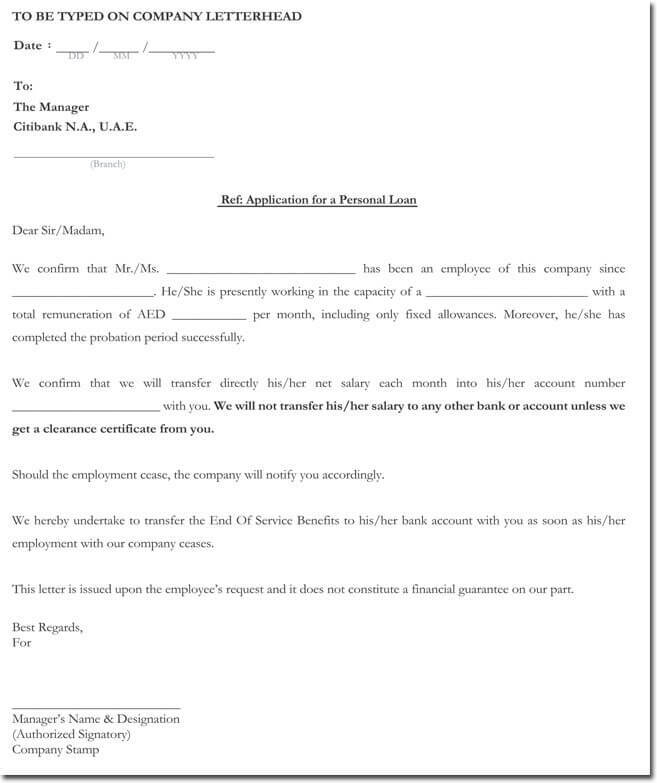 Always customize transfer letter templates as required for your individual situation. Do not keep things in the template that do not apply to your situation. 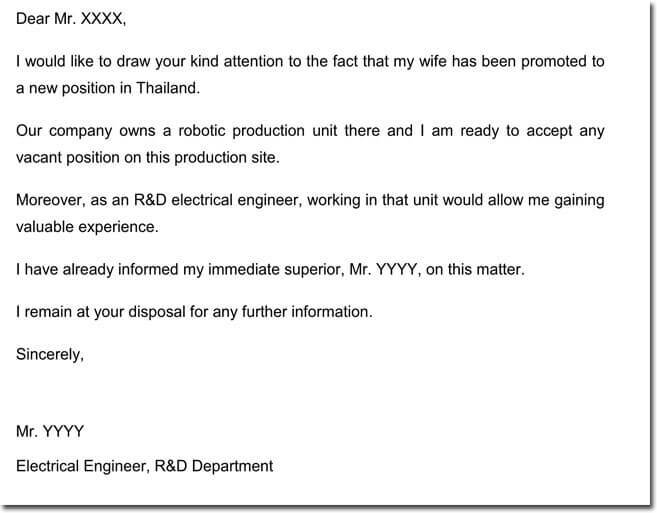 Similarly, add anything that must be added according to your company standards. 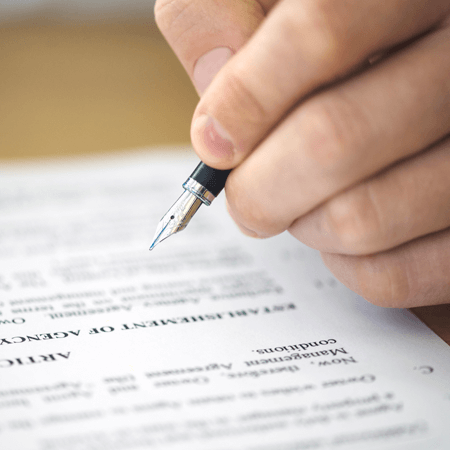 A transfer letter is an important internal record that will usually be placed in an employee file or be part of someone’s records. 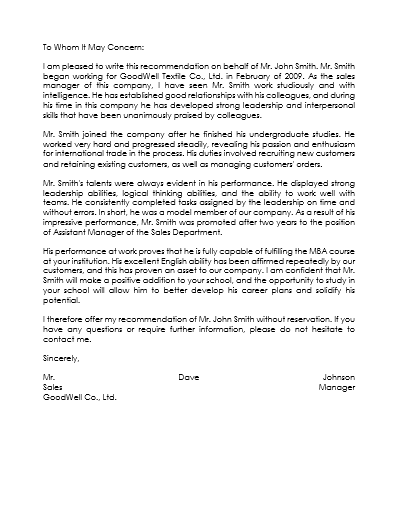 Make sure there are no grammatical errors, and ensure that the letter is courteous and professional. Try to include the reason for the transfer so you have it for your records. 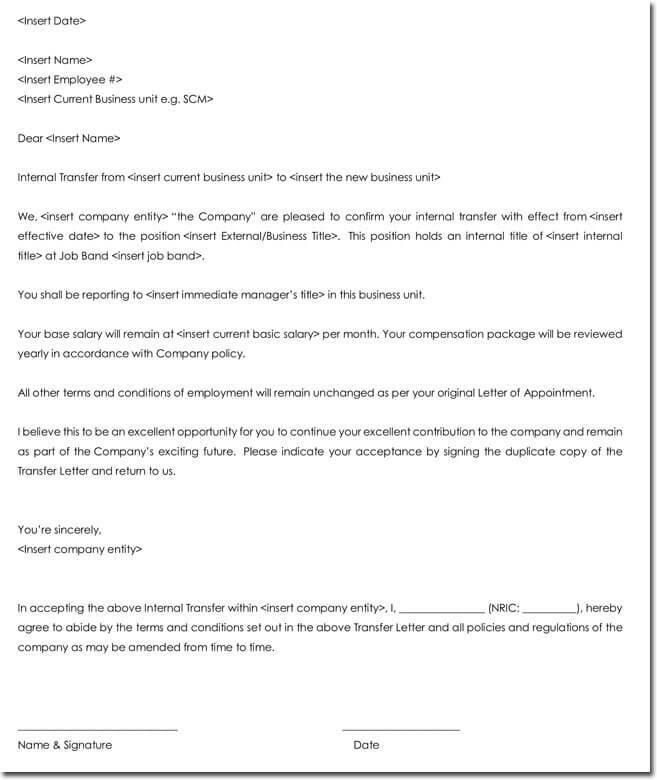 Should anything ever come into dispute, you want the transfer letter to serve as a record of when and why the transfer took place. Include any accommodations or contractual modifications that are being made as a result of the transfer. 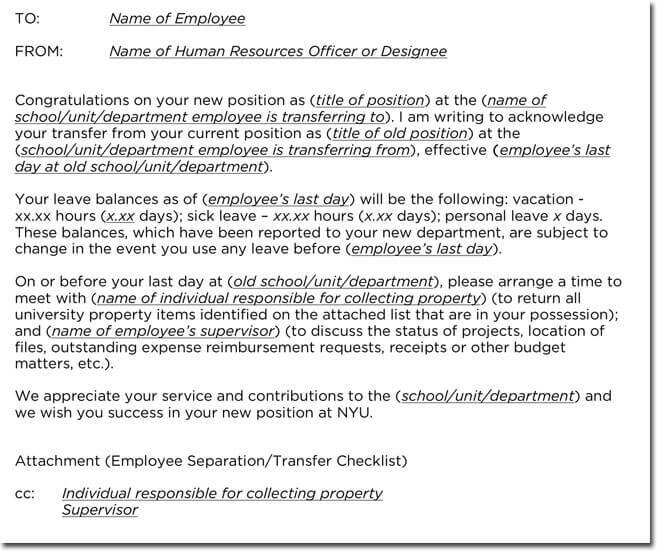 It is important to have these in writing, and to be clear to the employee about the terms of their transfer. 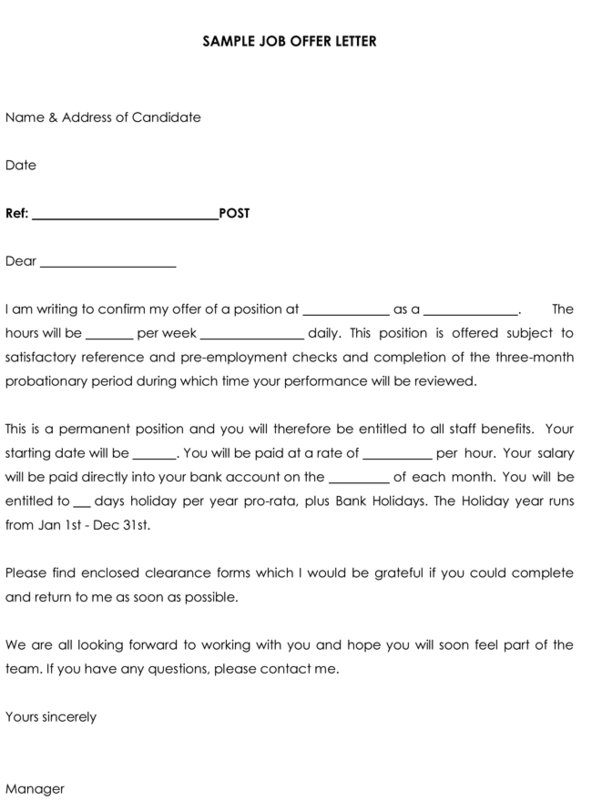 Offer to answer any questions the employee may have. 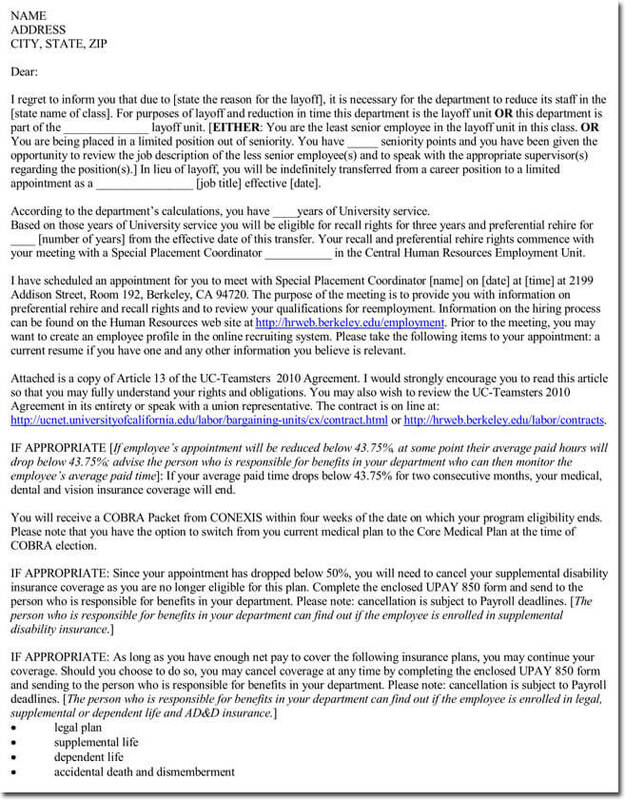 An employee might be nervous, and the invitation to talk can be helpful for employee-employer relations.